menswear, music, munchies & more. Included in the collection are the Superstar 80s, Stan Smith, and adilette Slides. Pulling inspiration from the LGBT pride rainbow flag, each silhouette has been given a multicolored makeover. For the Superstar 80s, adidas splattered the sole with a burst of color, while the Stan Smith features paint dripping from its signature perforations and multicolored laces. Last but not least is an adilette Slide with colors drenching its Three Stripes-branded strap. The adidas Originals Pride Pack is slated for a U.S. launch on June 6. Both the Superstar 80s and Stan Smith will retail for $100 apiece, while the adilette Slide is set at $50. While the recent adidas Originals EQT Running Guidance 93 was mostly inspired by the color of “Malt” grains used for brewing beer, the Sneakersnstuff x adidas Originals “Brewery Pack” is continued with this unique interpretation of the adidas Originals Stan Smith. Dubbed “Copper Kettle,” the silhouette’s aesthetic derives from the Copper kettles in the old brewery, which were used in the process of making beer. Essentially sporting an eye-catching Copper hue for its leather upper, the Stan Smith’s simplistic profile is adhered to an Off-White rubber sole unit, with natural malt accents adorning the lining and outsole. 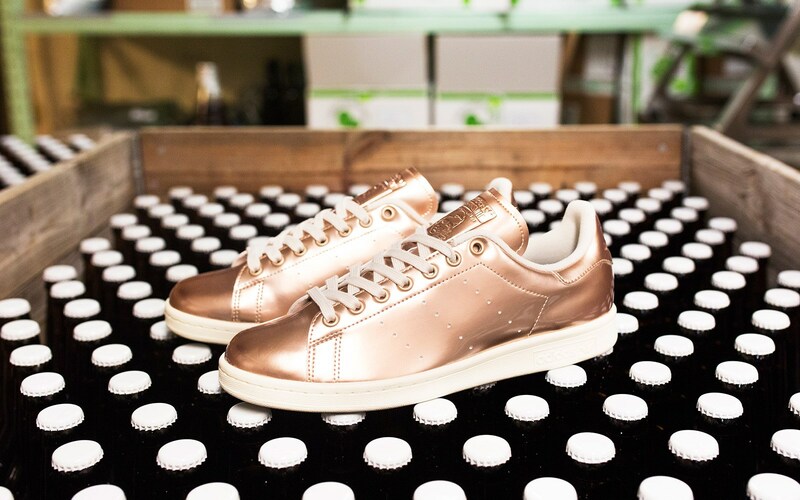 Finished off with White laces, Stan Smith’s face embossed on the tongue, and custom insoles with artwork incorporating both the adidas logo and pictures of hops to represent the beer flavor of this adidas Originals ”Brewery Pack,” the Sneakersnstuff x adidas Originals Stan Smith “Copper Kettle” is scheduled to make its debut at Sneakersnstuff on tomorrow, May 23 for $89. 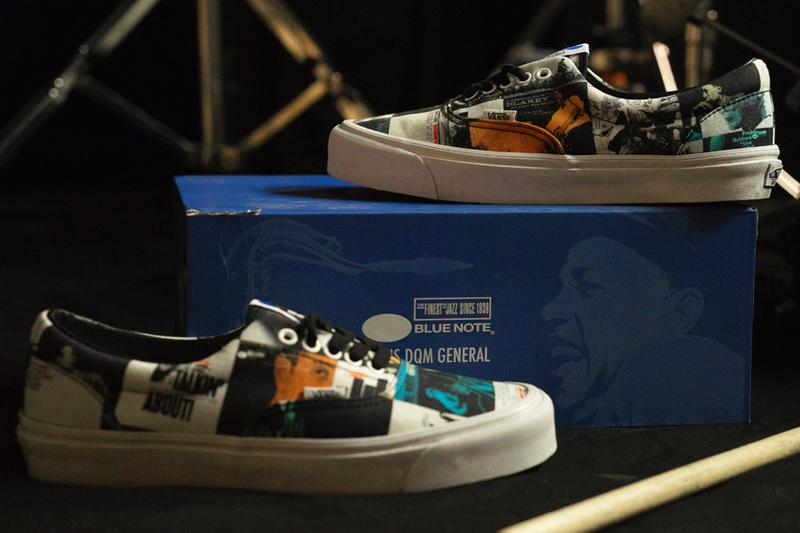 DQM has collaborated with Vans to produce a very special project with the iconic Blue Note Records. 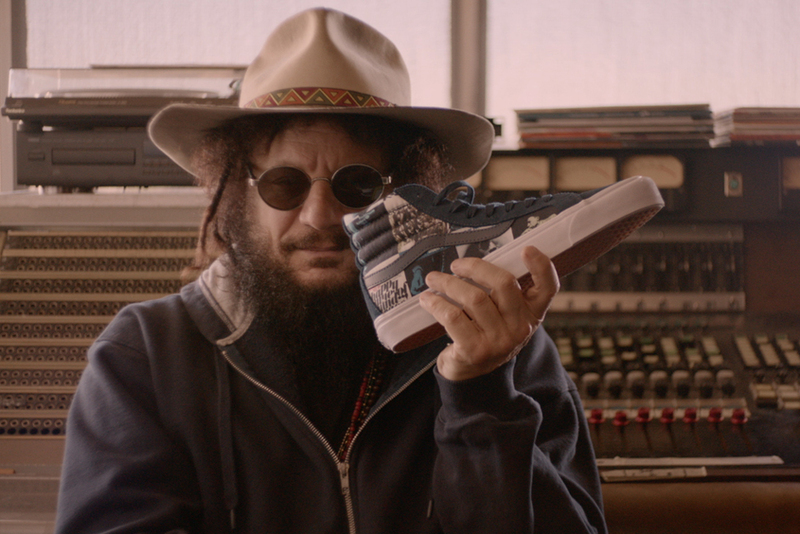 Releasing this Spring and Summer, the project includes two separate, consecutive footwear releases accompanied by a film featuring Don Was, the renowned musician/ producer President of Blue Note Records, and the legendary skateboarder and jazz-inspired contemporary musician Ray Barbee. Founded in New York in 1939 by Alfred Lion and Max Margulis, Blue Note Records has just celebrated 75 years recording the world’s greatest jazz. Many Blue Note albums, especially from the 1950’s and early 1960’s, are considered to the be the finest jazz recordings of all time, such that the record label name itself is now synonymous with the seminal American music form. The Blue Note Records project produced by DQM and Vans is inspired by the rhythm and extemporization that exists similarly within music, especially jazz, and skateboarding. Equally characterized by free-form thinking, style and improvisation, the art forms of music and skateboarding share a special connection. Both start with a simple stroke of the guitar, a push on a skateboard, and from there, its flow. The project includes consecutive Vans footwear releases produced exclusively for DQM; an OG Era LX and an OG Sk8-Hi LX style in two colorways, ‘The Colors’, releasing in store on May 8th, and online on May 11th, and ‘The Blues’, releasing later in June. 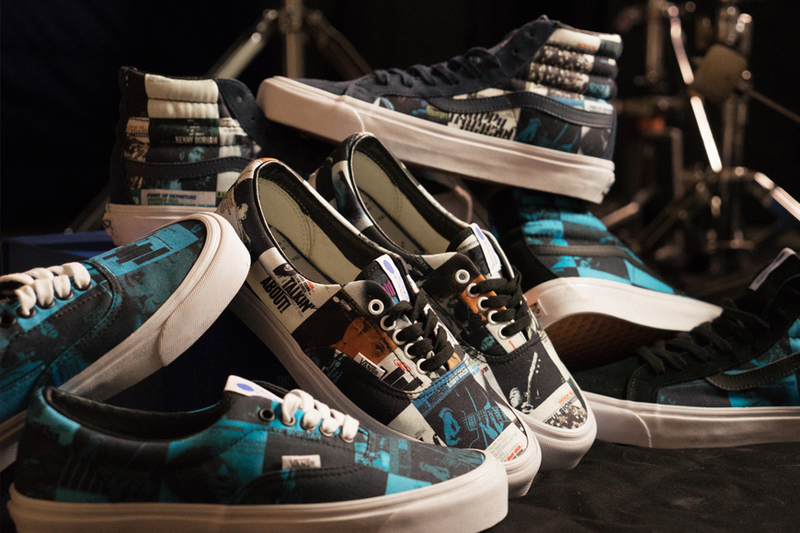 The shoes are constructed in 6oz canvas yardage printed with a collage featuring cover art from Blue Note’s epic catalog; each pair is unique. Produced in a limited edition, the Blue Note Records footwear collection will be available in men’s and women’s sizes exclusively in store at The Vans DQM General in SoHo, New York and online at dqmnewyork.com. Last year’s Nigo x adidas Originals collection was a break from the norm for the former Bape owner; aside from hints bright green and silver, much of the collection relied on earthy tones, a stark contrast to the bright colors he made famous in his early days. Nigo flips the script for his second adidas Originals collection with a much more summer-friendly palette. Featuring the Stan Smith CF, Shooting Star Hi, and City Marathon PT silhouettes, the collection features eight sneakers in total. The Stan Smith gets a velcro closure makeover and comes in murky pool blue, metallic gold, and traditional white-and-green colorways, while the Shooting Star Hi will be offered in white, brown, and blue. However, the standout from this collection is the City Marathon PT, which is available in a vibrant multicolor makeup. Check out the collection below and shop the Nigo x adidas Originals collection at adidas now. From duck-billed flappers and buttoned derby shoes to platforms and running sneakers, take a look at men’s footwear throughout the ages.. Anything you still wear today? Debuting February 7th, Converse plans to release a collection featuring the iconic art of the legendary Andy Warhol, in collaboration with The Andy Warhol Foundation for the Visual Arts. Retailing from $65 to $85 and exclusive to Converse.com, it’s sure to be something special! And for a great cause! With a wealth of Pharrell-inspired Superstars certain to don the new year, before that takes place Skateboard P still has a few Stan Smith collabs to fire off. If you remember the Polka Dot pack from last year, this new offering will be all but too familiar expect for one central design aesthetic. The Pharrell Williams x adidas Originals Stan Smith “Big Dot” Pack simply takes to larger graphics over the classic tennis shoe in three foundational colorways – black, blue and red. Each variation highlighted a colored base with larger white polka dots with matching laces and midsole. 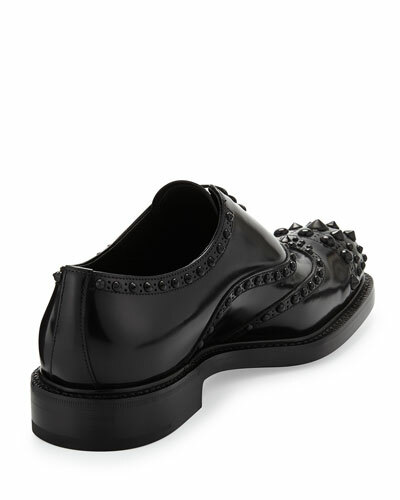 If The Shoe Fits: Just the [wing]Tip.. Stumbling across this week’s ITSF pretty much changed my life and re-inserted me into fall shopping mode. 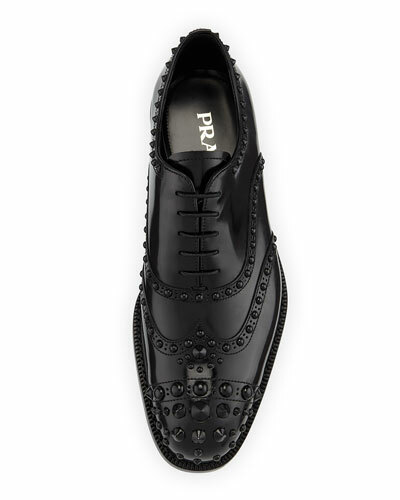 This eccentric studded wingtip courtesy of Prada is the epitome of an upgrade, changing everyday to extraordinary. Head over to Neiman Marcus if you think you could rock it.. Releasing next week is the “Carmine” Jordan 6, a pair that’s reportedly been pretty tough to track down as far as retros are concerned. The popularity of the white/black/carmine colorway will be tested though.. Are these on your list? This week’s shoe wear hits a little closer to home in the form of Steps by Stephen, a business created by Morehouse College student Thabiti Stephens. Steps by Stephens was created for a greater purpose that just shoes. Growing up in Atlanta, Thabiti Stephens saw many different lifestyles, including children/youth who struggled to obtain a good meal everyday. After completing extensive research on manufacturers, price points & exactly how he wanted to give back, he & his roommate Malcolm Conner came up with their own startup money to produce the footwear. The sales revenue goes to local homeless shelters to help the people who truly need it. Check it out!